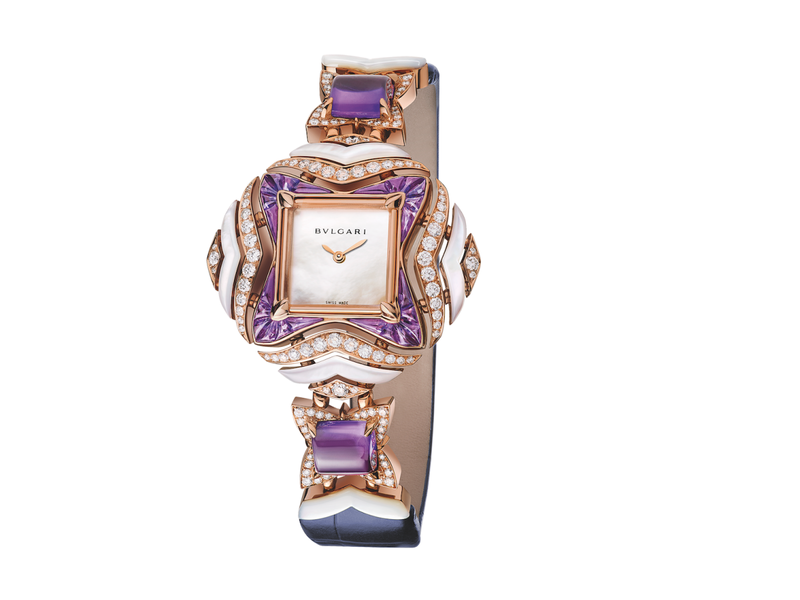 Now, the Italian luxury brand is turning its attention to timepieces with the same gusto that it continues to apply to jewelry, combining the precision of Swiss watchmaking with the flair of Italian design. 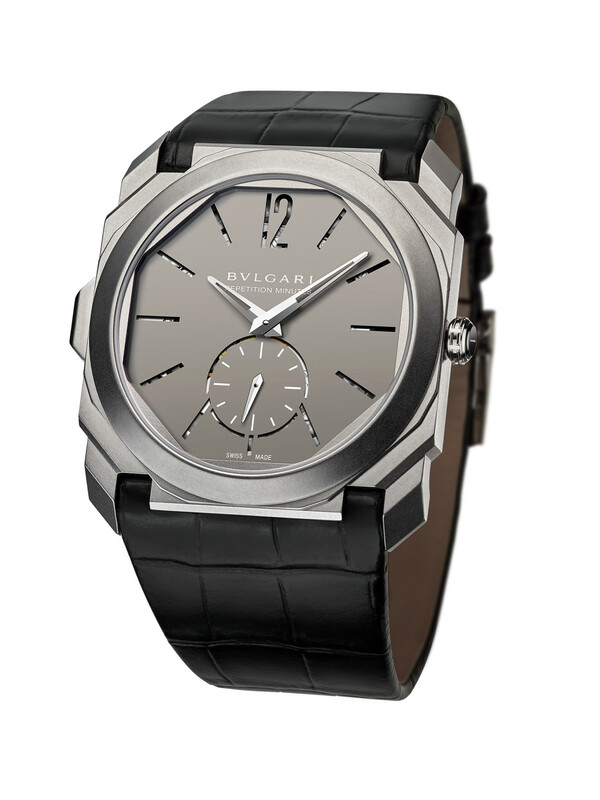 As a Bulgari representative explained, "Anyone can find the time on a phone. 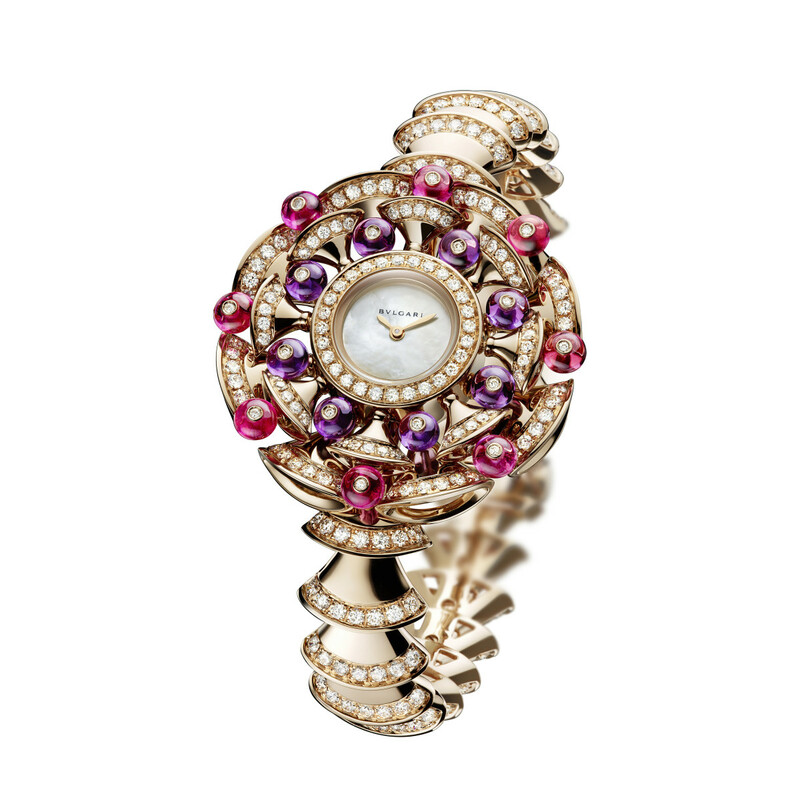 There's an element of art on a person's wrist. 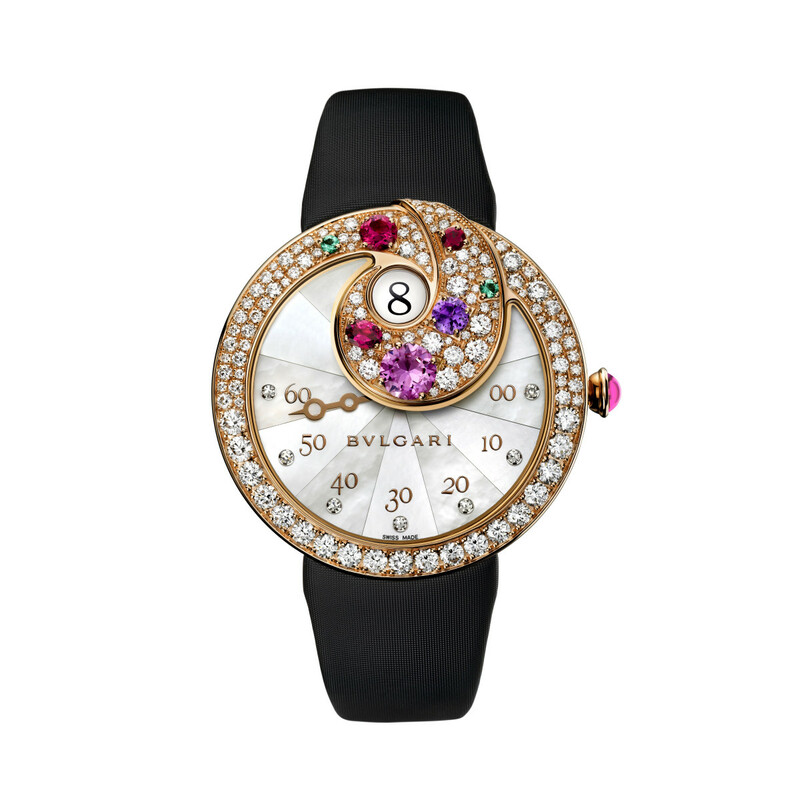 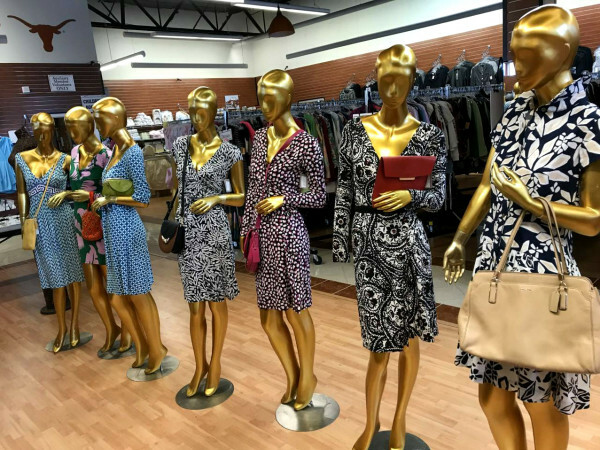 Timepieces can identify your personal style." 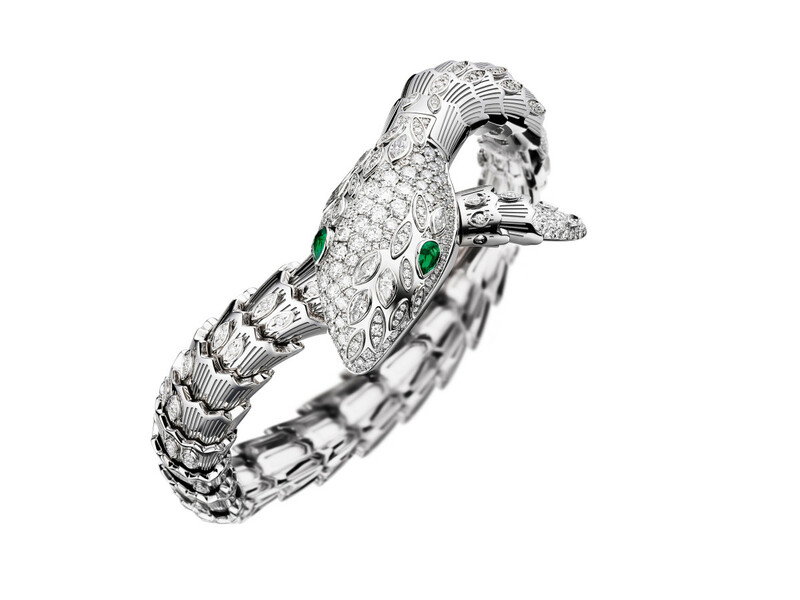 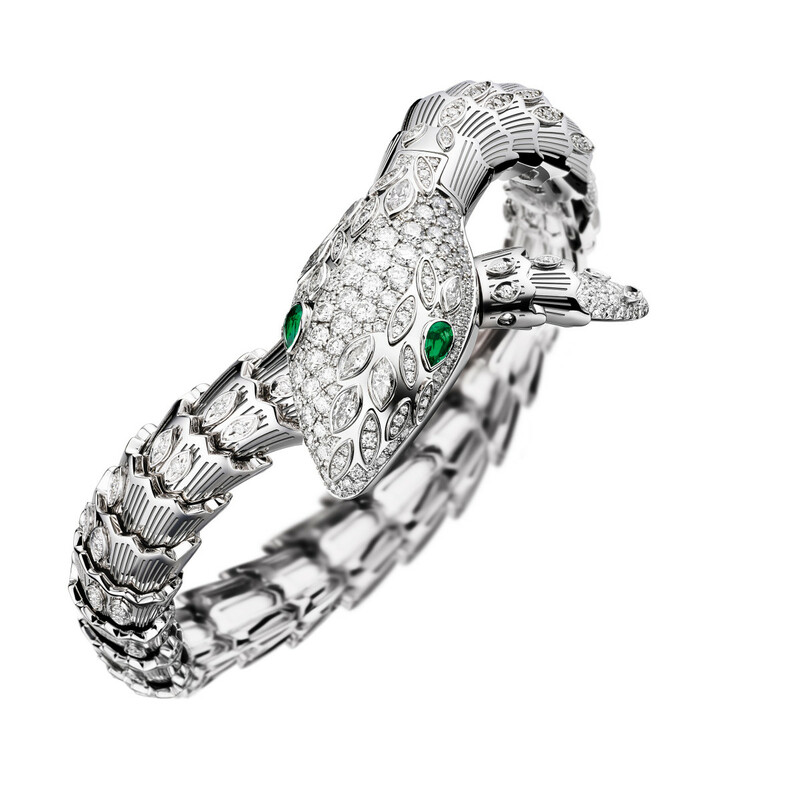 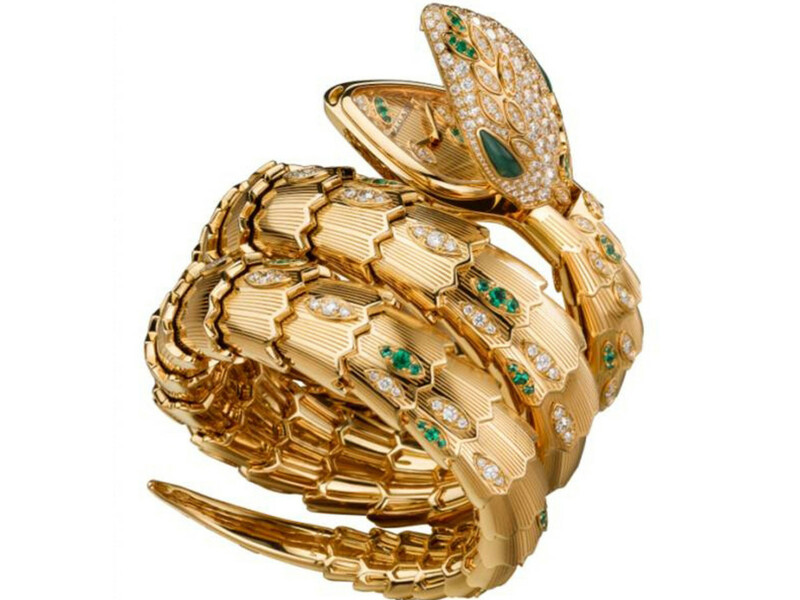 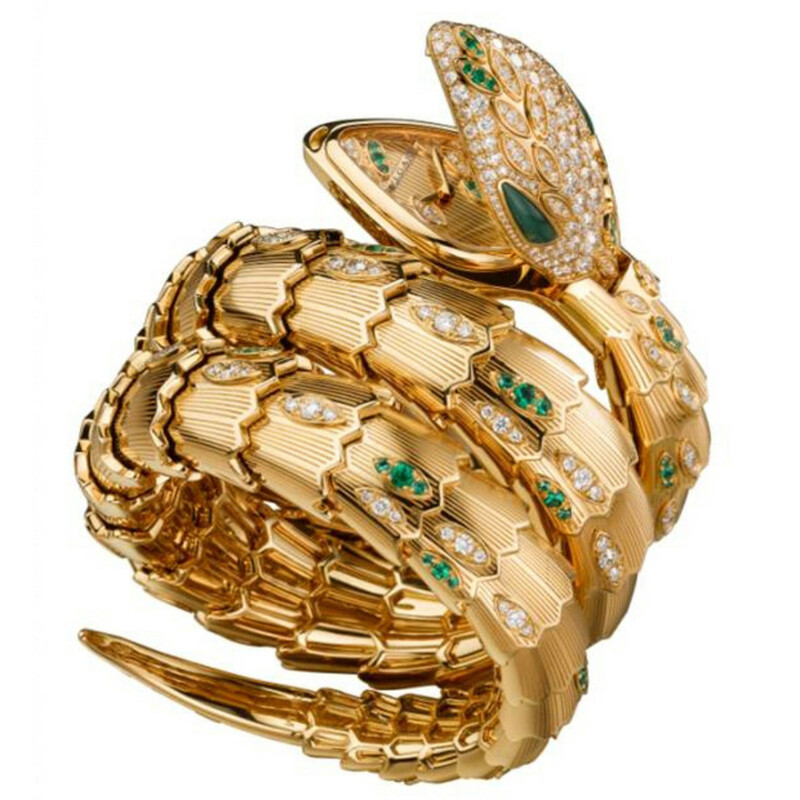 The Bulgari high jewelry watch collection ranges from the distinctive Serpenti, featuring a coiled serpent bracelet with the watch dial concealed in a jeweled head, to the Divas' Dream, bursting with diamonds, emeralds, and other precious gemstones resembling Roman mosaic patterns of the tiles at the ancient Baths of Caracalla. 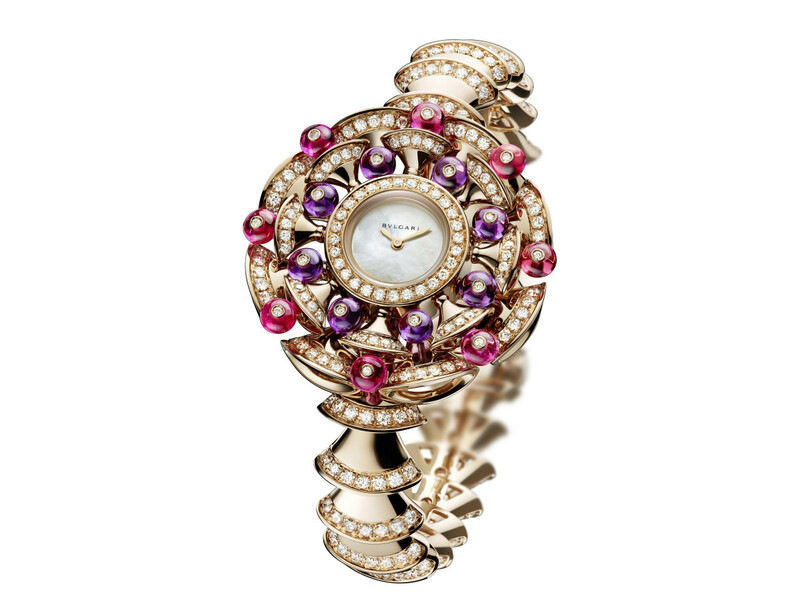 Another impressive grouping is the Color of Time collection, with gemstones arranged in the geometric harmony of a luxurious Italian garden. 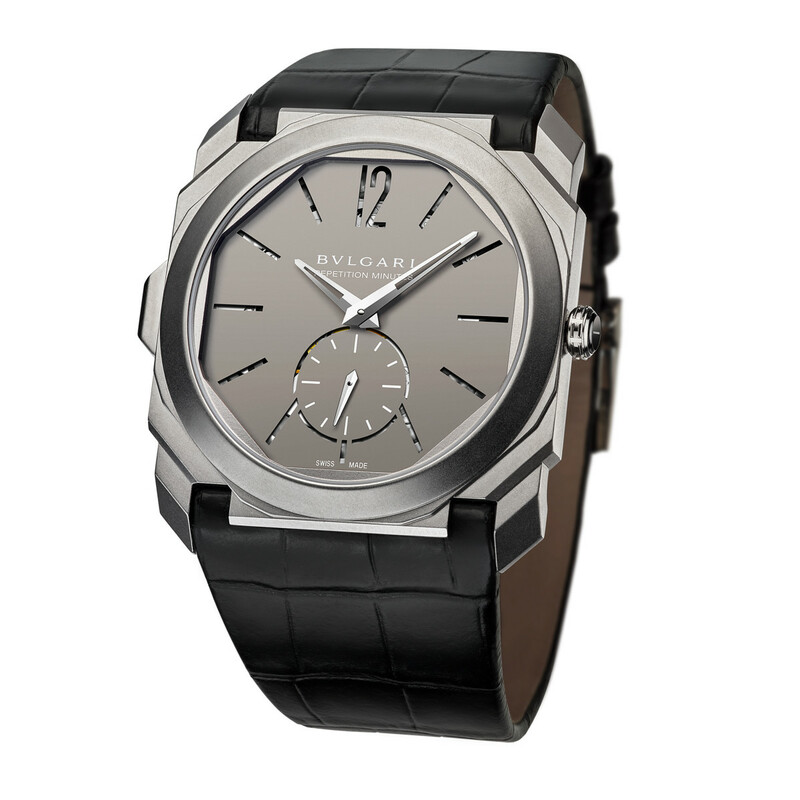 Also included is the most recent addition, the masterly crafted Octo Finissimo Ultra-Thin Automatique men's watch, which is touted as the world's thinnest timepiece. 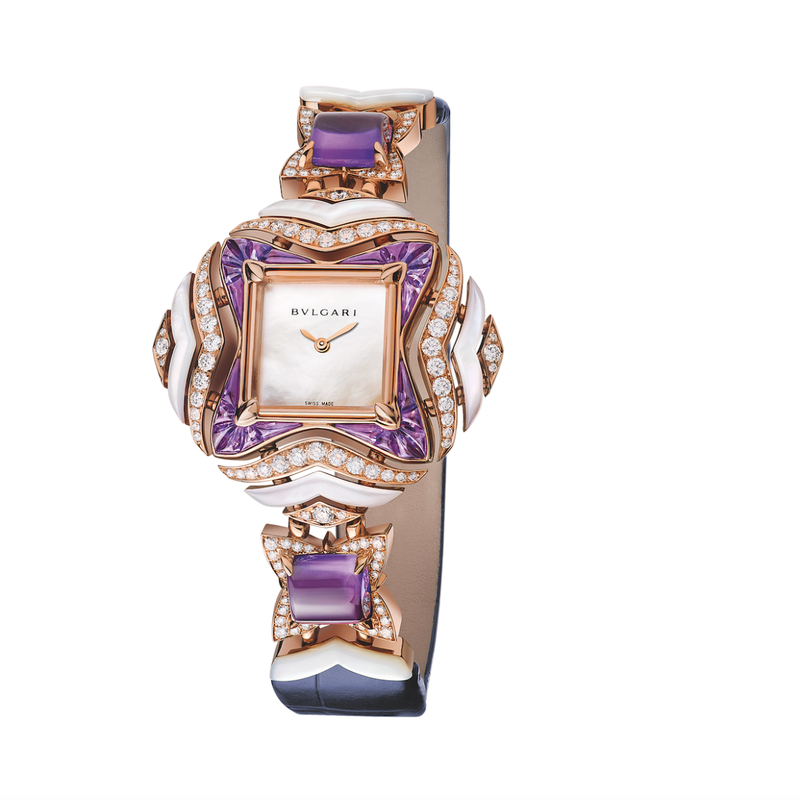 The brand selected 25 of its most glamorous and distinctive watches to put on display at Zadok Jewelers through Monday in a museum-like exhibition under glass. 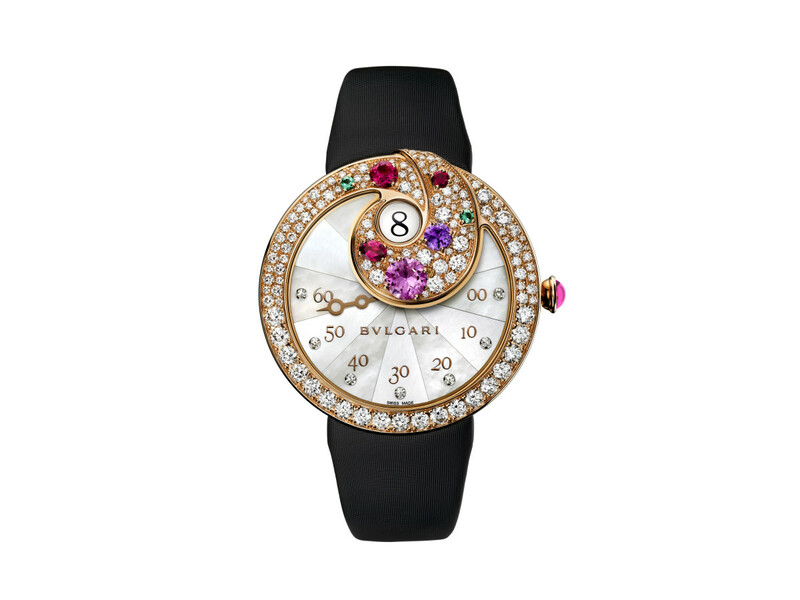 Prices range from $3,800 to $250,000, but its also okay to admire the gorgeous timepieces and dream.